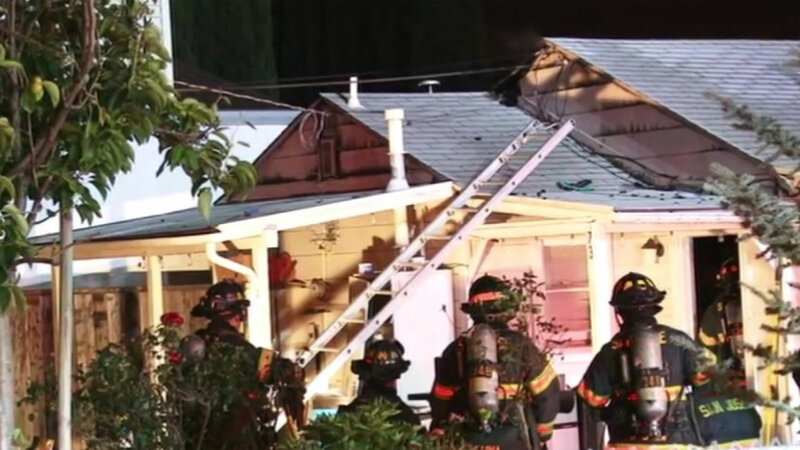 SAN JOSE, Calif. (KGO) -- An alert citizen is being credited with helping six people, including two children, escape a burning home Tuesday morning. It happened on Pala Avenue near Avenue B in San Jose. The passerby saw smoke coming from the roof around 2:30 a.m. and started banging on the door to wake everyone up. Firefighters say it's a good thing he did. "It was all the difference in the world because they were asleep at the time. A few more minutes, we could have had some serious injuries," San Jose Fire Dept. Capt. Peter Caponio said. The roof partially collapsed in the fire. The Red Cross is helping the family find temporary housing.